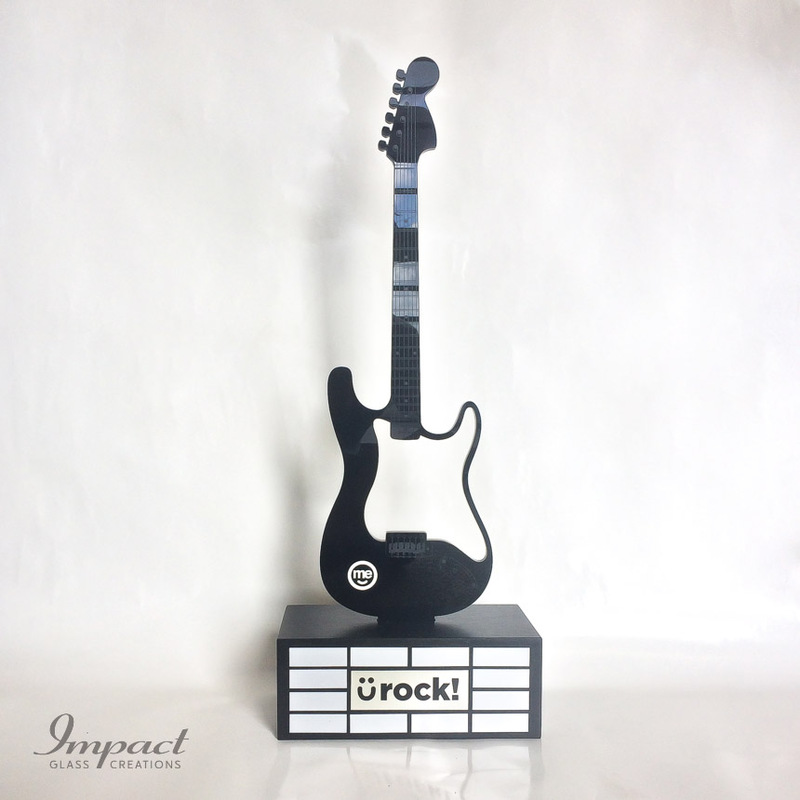 The client wanted something unique and different, large, that just spoke of “rock” so what better than a guitar! 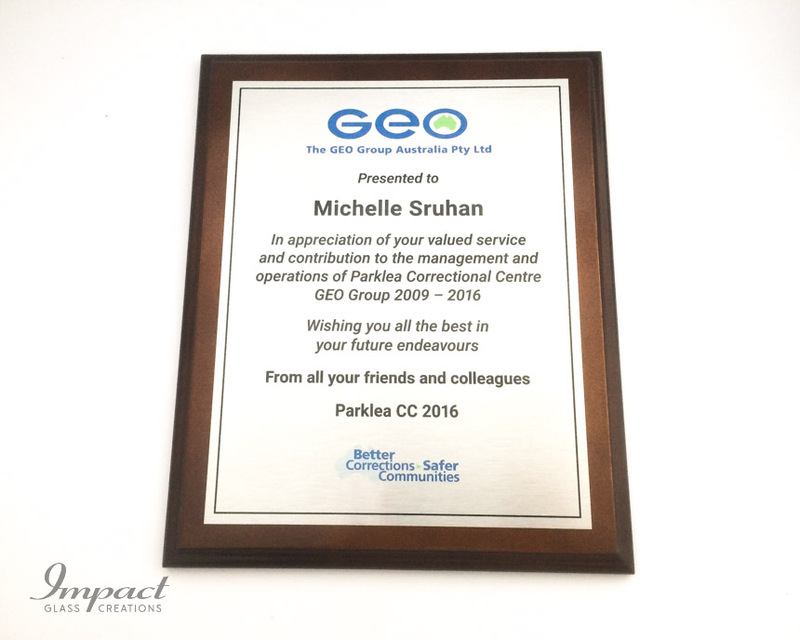 The brief being that it be for recognition of employees that have struck a note with their peers or management. 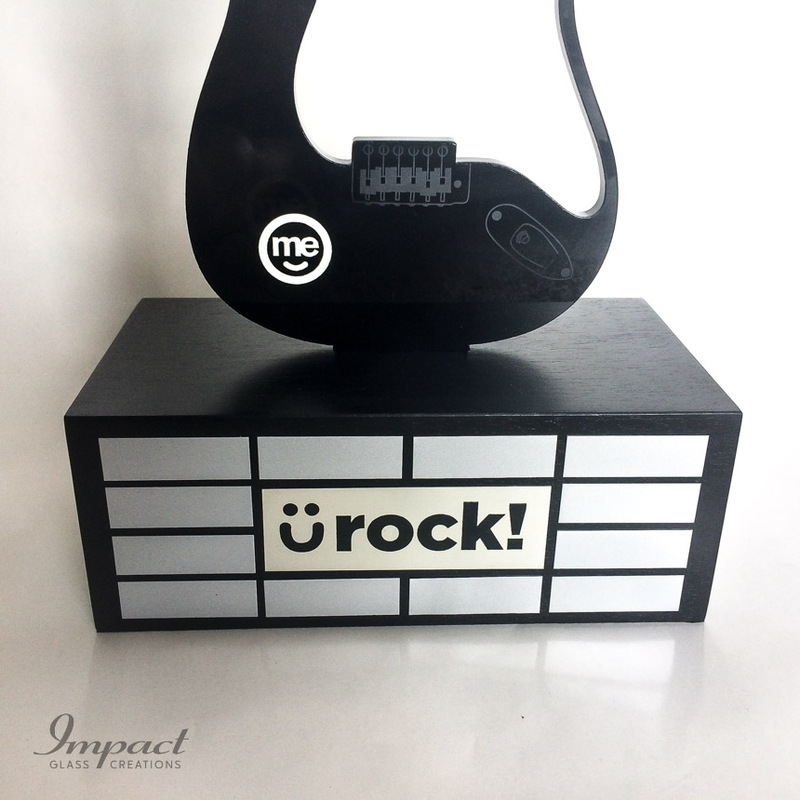 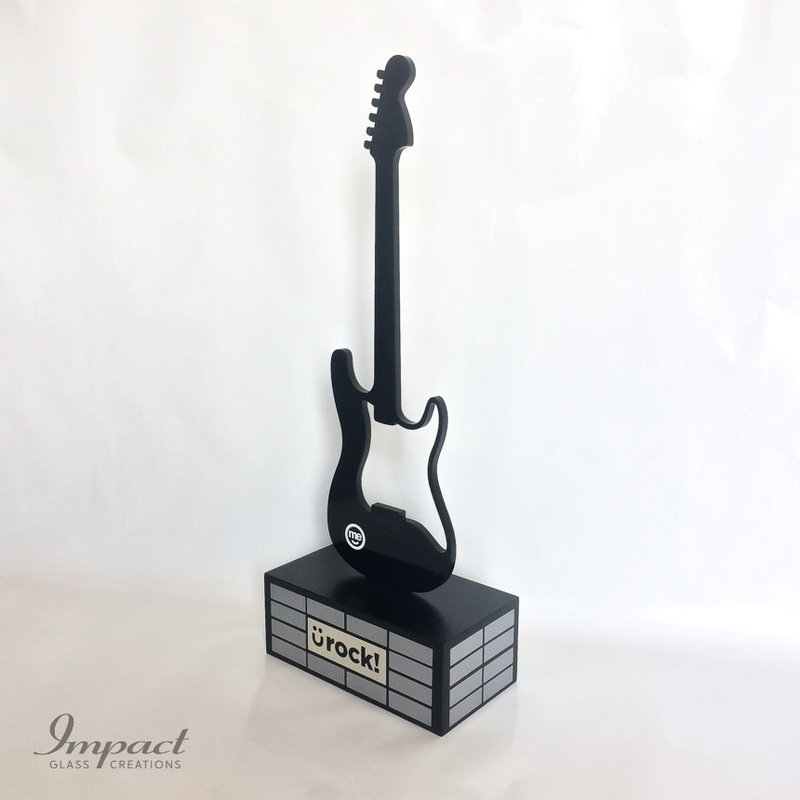 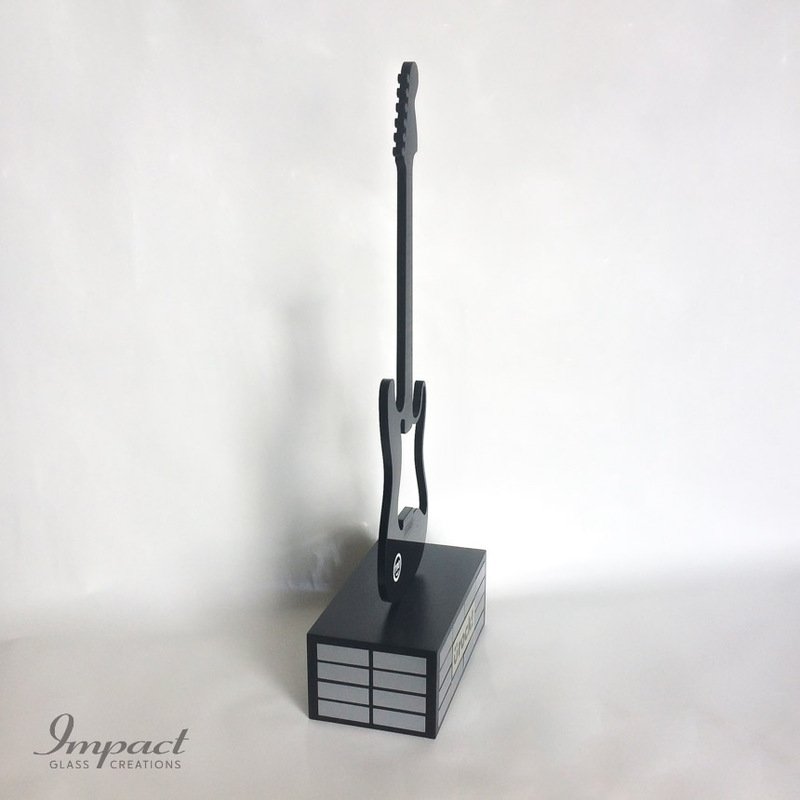 The design was cut from black acrylic and then engraved to add the subtle detail to the guitar. 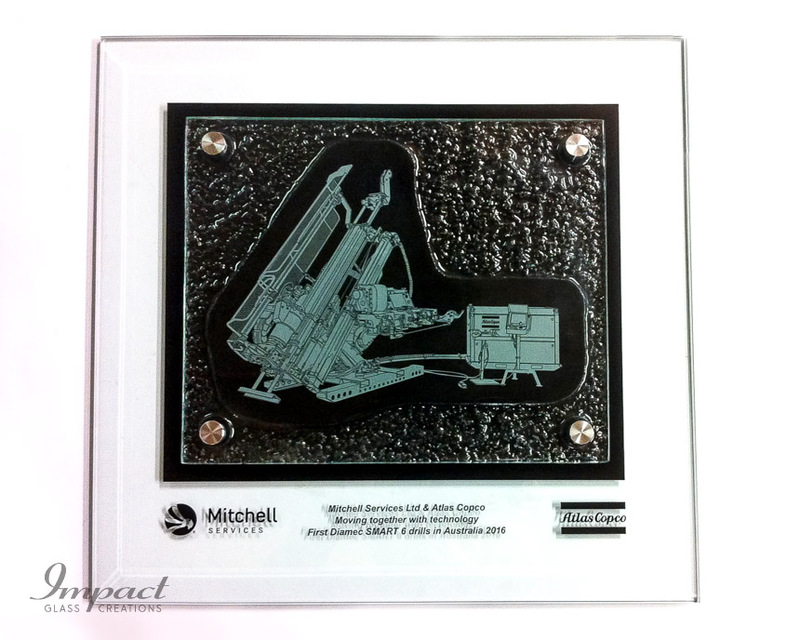 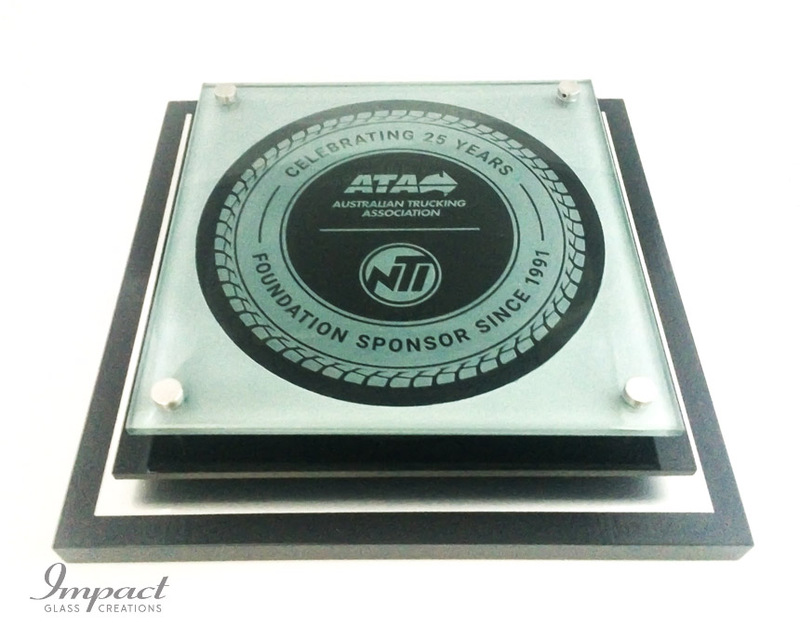 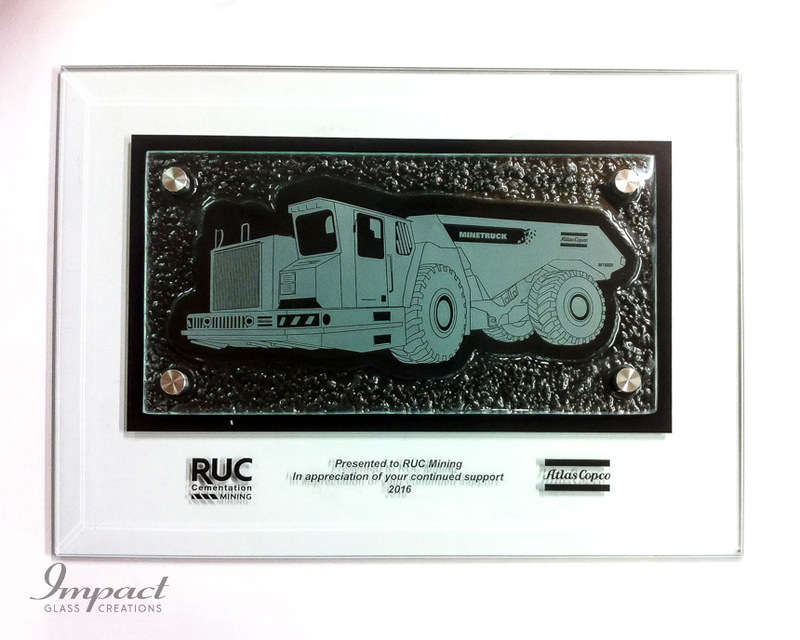 Provision for a number of monthly awards was built into the design using the sides of the stained timber base.